We admit it, we've totally got a crush on derby girls. 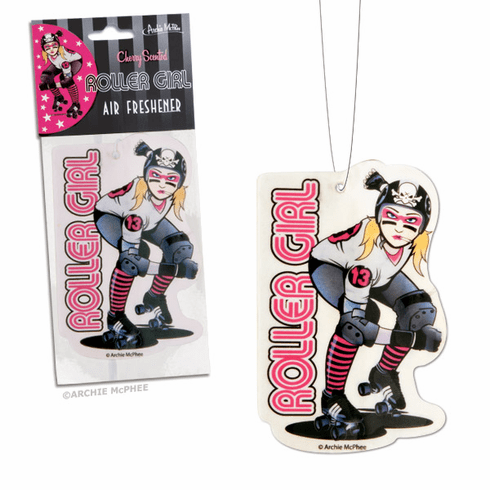 That's why we made this Roller Girl Air Freshener to pay homage to their awesomeness. It's 4-1/2" (11.4 cm) tall, cherry scented and tough as nails. Use it in your car to let everyone know you're a fan. String for hanging included.